Mix the lamb with lime juice, crushed garlic, and chili powder, and marinate in a glass container covered with plastic wrap for at least 30 minutes (24 hours maximum). For the salsa, combine the rest of the ingredients with 1 teaspoon of lime zest. Season the chops and cook them on a preheated grill at medium-high heat for 5 to 10 minutes on each side. Serve with the salsa, and a side-dish of black bean rice. The chops can also be cooked on the stove, broiled in the oven, or barbecued. 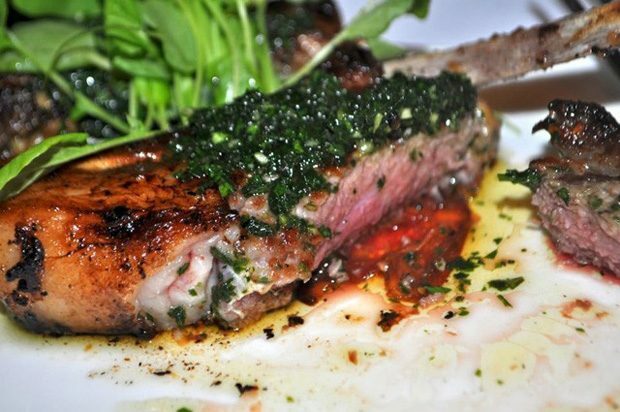 Salsa lamb chops are a delicious way to treat your guests. Whether you're entertaining friends or having a delicious family meal, salsa lamb chops is a great choice!